Waypoint Gaming’s goal is to develop esports & entertainment within the Northeast gaming community. We specialize in content creation, esports production and tournament organization. We provide a wide array of services both in house and at location. From in-house event specialization, tournament organization to Main Event Production at Location, Waypoint delivers entertainment for all ages and interest. Waypoint Gaming works to deliver the esports gaming experience to the masses. We have helped organize, produce & deliver main events in medium & large sized venues throughout the Northeast region. 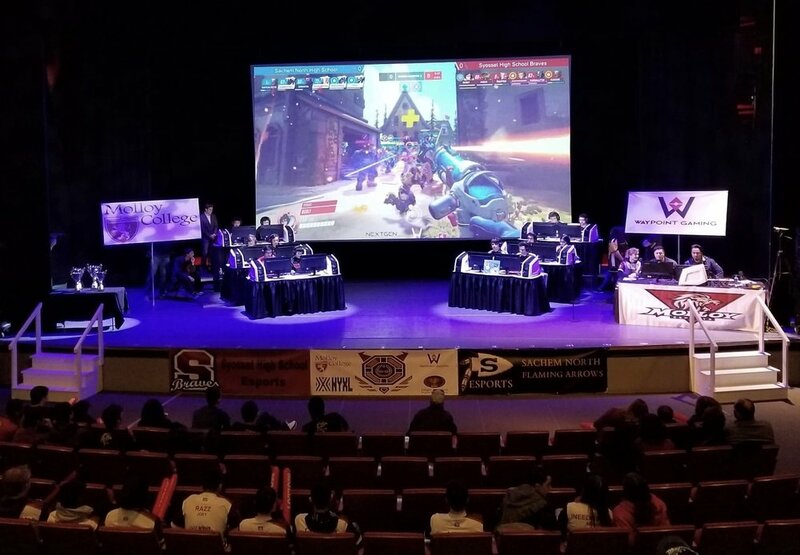 Through our collaborations with local colleges & entertainment businesses, Waypoint Gaming aims to facilitate esports throughout the region. Waypoint Gaming houses a full production media studio where we create content to be enjoyed by the public. For the gaming enthusiast, we create and distribute content for a wide array of interest. From table top games, to esports talk shows, to podcasts discussing the latest in gaming news, we work to keep the community informed & engaged.